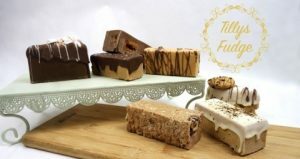 Tillys is a family run business specialising in delicious homemade fudge. We make over 30 different flavours with a creamy smooth texture. Truly Fudgelicious!